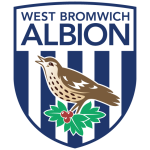 West Brom enjoyed quite a successful 2012/13 season under rookie boss Steve Clarke, finishing an admirable 8th in the table, within touching distance of the Europa League positions. The Baggies went about their business very quietly and with the addition of some astute signings, in particular loan signing Romelu Lukaku from Chelsea, were able to sustain a high level of performance from their opening day win over Liverpool right up until the bizarre final day 5-5 draw with Manchester United. Internal issues such as the debacle surrounding Peter Odemwingie threatened to derail the club’s progress in the latter stages of the season. However, West Brom managed to hit form at the business end of the season to secure their top half finish, a position they had been deservedly in since the early weeks of the season. With such a high standard being set by Clarke for his playing staff, nothing but improvement will be accepted heading into the new season. These lofty ambitions must be unheard of for Albion supporters who in the last ten years have had to listen to their club being labelled a “yoyo club” for their tendency to move up and down between divisions year after year. Are these ambitions misplaced though? With last season’s top goalscorer Lukaku back at his parent club Chelsea, there are serious question marks as to whether new signing Nicolas Anelka, an often unpredictable figure and the inconsistent Shane Long can provide enough goals to push The Baggies towards a Europa League challenge for the second season running. Having spent almost 10 years serving as assistant manager in the Premier League including spells at Liverpool, West Ham and under Jose Mourinho at Chelsea, it is fair to say that Steve Clarke is a student of the game. Picking up snippets of information from the different Premier League managers he’s worked under, a list that also uncludes Roy Hodgson and Avram Grant, Clarke decided to finally take the step into full management at the end of the 2011/12 season. With West Brom looking for a new boss after Roy Hodgson left to take over the English national team, many saw the club as perfect for the rookie manager; not overly ambitious but with enough potential to be taken to the next level. And so in June of 2012, Clarke was appointed as West Bromwich Albion manager for the new season. Many wondered if the Scotsman could adapt to such a different challenge in arguably the most unforgiving league in Europe. Clarke responded with an initial run of ten games at the start of the season that propelled the Baggies into the top six; a position they would be in or around for the rest of the season and but for a mid-season slump might have saw them climb even higher. Although early in his managerial career, it is obvious that Clarke possesses a strict, hard-working mentality which certainly translated to his players last season, as well as a ruthless streak where any drop in standards is unacceptable. Clarke earned praise from other managers last season for his handling of the Odemwingie situation, a player that tried to singlehandedly force his way out of the club in January. Despite the striker’s obvious importance to the team, he was banished to the reserves for the majority of the remaining season. West Brom did not suffer though and had a strong end to the campaign to cement an 8th place finish. It is remarkable that Clarke has garnered such a togetherness and work ethic amongst a squad that is only a year under his management and one has to predict that West Brom will be equally as tough to beat during the new campaign. However, Clarke will have his focus firmly set on a higher league position and with a squad stripped of last year’s top goalscorer, it could prove to be Clarke’s biggest challenge to date. Shane Long enjoyed perhaps his most prolific top flight campaign last season, where he managed 11 goals in all competitions. However, having been preferred to the more clinical Romelu Lukaku in attack for most of the season, Long will be disappointed with his return especially considering Lukaku managed 18 goals in all competitions despite starting much less games. With Lukaku returning to Chelsea following his loan, it cannot be sugar-coated as anything other than a crucial season for Long, a season in which he must assert himself as the club’s dominant centre forward. However, with veteran Nicolas Anelka breathing down his neck as well as promising young forward Matej Vydra, Long will have to hit the ground running and add some consistency to his obvious potential. If he can manage this, there is no doubt that Long possesses the ability to fire The Baggies to their Europa League target. Hard working, strong with his back to goal and with pace to burn, everything is in place for the Irishman to break the 20 goal barrier that his alluded him thus far in his Premier League career. When in form, Long is the perfect foil for a hard working midfield that includes Chris Brunt and James Morrison, running into channels as well as sitting on the shoulder of the last man waiting for the ball over the top. In an attack that many feel is lacking in quality, given the loss of Lukaku and the expected departure of Odemwingie before the end of the window, Long simply must deliver as a 34 year-old Anelka cannot be expected to carry the team in attack if the Irishman fails to deliver. 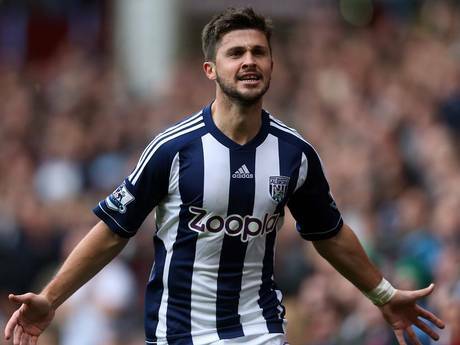 Make no mistake, if West Brom are to improve or even maintain their lofty league position from last year, the form of Shane Long will be the telling factor. 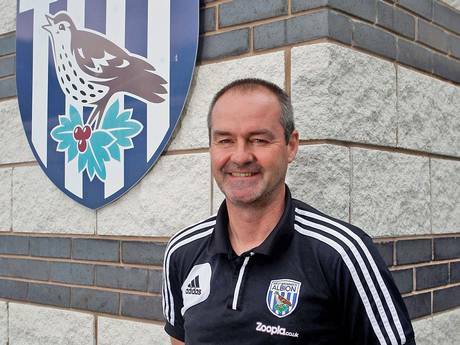 Having had a season last year where many feel the Baggies overachieved; it is difficult to predict whether Steve Clarke will have the tools necessary to have a similarly successful campaign this time around, as I’m sure his hard-working side surprised even him at times last season. However, the ambitious Scot will have set that as a benchmark for his side and will accept nothing less. The question is, though, are they capable of more? With the addition of the experienced Uruguayan defender Diego Lugano to further strengthen a defence that saw the likes of Jonas Olsson and Ben Foster (pictured above) have their best seasons in English football to date last year, the Baggies have the look of a side that will again be hard to break down. Yet while West Brom may be well equipped to keep clean sheets at one end, it is at the other end where most of the questions need to be asked. An attack now devoid of Belgian powerhouse Lukaku and the trickery of Odemwingie, suddenly looks suspect. 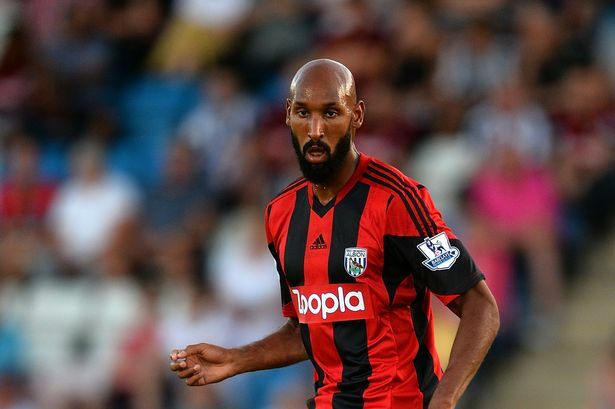 Shane Long will have to overcome the previously mentioned inconsistencies while it is difficult to predict just what sort of impact an aging Nicolas Anelka (pictured below) can have on a team with serious European ambitions. The signing of Udinese striker Matej Vydra from Udinese, who scored 20 goals for Championship side Watford last season, is perhaps the wildcard in the pack. However, playing in a top half Premier League side is a massive step up from a Championship promotion chase and it remains to be seen whether the young Czech can adapt to this level. With the teams around them such as Norwich, Southampton and Swansea suddenly looking stronger following a summer of clever business in the transfer market, it will be a massive ask for Steve Clarke’s men to replicate last year’s success and Albion fans might have to be content with a mid-table finish this time around. 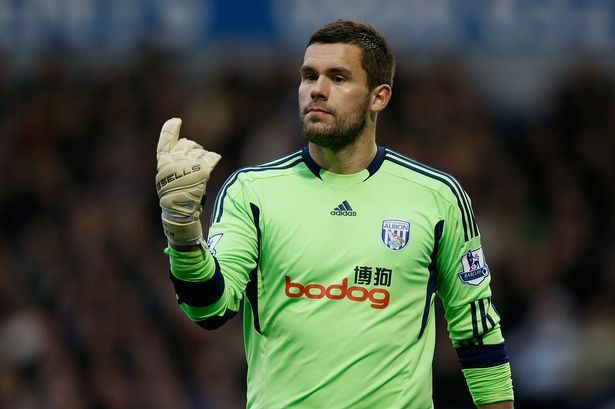 Tags: Ben Foster, Clarke, Nicolas Anelka, Peter Odemwingie, Premier League, Romelu Lukaku, Shane Long, Steve Clarke, West Brom, West Bromwich Albion F.C.